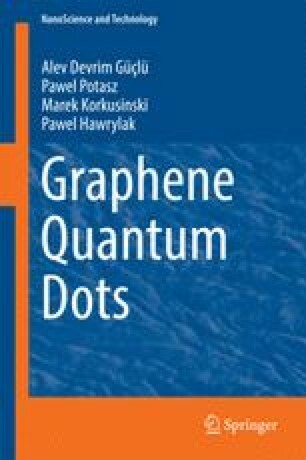 This chapter describes the optical properties of graphene quantum dots. It discusses the size, shape and edge dependence of the energy gap, optical joint density of states, excitons, charged excitons, optical spin blockade and optical control of the magnetic moment in triangular graphene quantum dots with zigzag edges. The electronic and optical properties of colloidal graphene quantum dots, and in particular the spectrum of band-edge excitons is described.